The two hotels below are part of the accommodation that features on our Champagne and Battlefields Wine and Beyond tour. 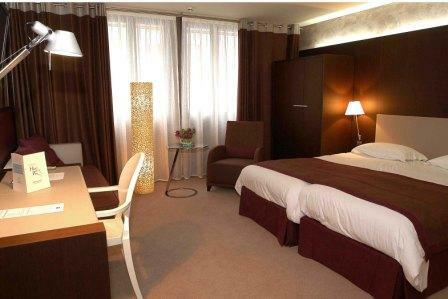 These hotels are renowned for their immaculate décor, exceptional service and enviable location. 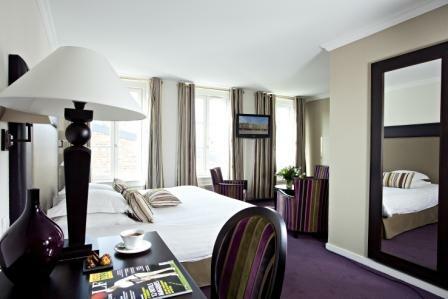 Hotel de l’Univers is an ideal hotel for a short stop-off en route to your wine holiday and is located in historic Arras. An authentic 17th Century monastery, this impressive establishment has been renovated in an elegant and modern style, which offers tranquillity from the bustling town.